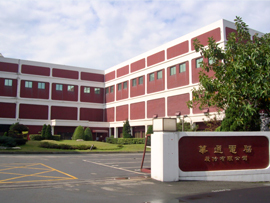 Established at Taoyuan Lu-Chu village in August 1973, Compeq Manufacturing Co., Ltd. was the first specialized printed-circuit board (PCB) manufacturing company in Taiwan to support the government’s policy in developing the high-tech industry. Beginning with producing single-sided and doubled-sided printed circuit boards, and progressing by persistent dedication to technology research and development, Compeq then started mass production of 6-layer printed circuit boards for computers in 1983, leading Taiwan PCB industry into the new stage for multi-layer board production. Since the foundation, Compeq has been focusing on PCB industry as our core business. Under the trend of globalization, Compeq later established the Utah plant, Compeq International Corp., in the United States in 1989 to approach the center of the world’s primary electronics consumer market, bridging Compeq to the world’s latest product trend and enabling Compeq to provide direct local services to North American customers. Subsequently, Mainland China sharply raised her economy strength and became the hot spot for global manufacturer’s production logistics, the China Huizhou site was established in 1996, after the government began to allow investment in China, in order to strengthen Compeq’s overall global coverage, satisfy customers’ demand and access the advantages of manufacturing cost savings and potential local markets. To meet the production condition requirement for advanced high precision products, Compeq set up an advanced plant with class 1000 clean room in the Tayuan industrial park, Taiwan in 1998 as the development and production base. Furthermore, Compeq set up Compeq Technology (Huizhou) Co. Ltd., and Compeq Manufacturing (Suzhou) Co. Ltd., in 2004, supplying flex PCB and small quantity part assembly services to provide total solution for our clients. When facing the rigorous and intense global competition, not only will we continue to enhance the partnerships with our valued customers to develop cutting-edge products and capture market opportunities, but also, through planned actions and optimized management synergy, play a key role in overall industry upgrades and realize the vision to learn and grow with all electronic manufacturers around the world.